Oleg Deripaska, chief executive of the Russian state aluminium monopoly Rusal (title image), calls his security men to a meeting in a soundproof room he’s decorated with a collection of west African masks on the walls. Clicketty-click the subtitle rolls on to the screen, MOSCOW 2009. “Whaddya know about Levinson?” he barks softly. “Who we know in Tehran? Whad’ll it cost us to spring him? Don’t come back if you’ve got nothing.” Deripaska’s threat fades to inaudibility. That’s the cue for the agents, veterans of the old KGB and GRU, to slip wordlessly away, their faces locked in hatchet grins. Cut to Soviet-type telephone receiver on a nondescript desk, no number notches on the dialler. Clicketty-click: MOSCOW MONDAY DECEMBER 16, 2013. “You can say I’m the representative of Basic Element. You can’t use my name. Got it? 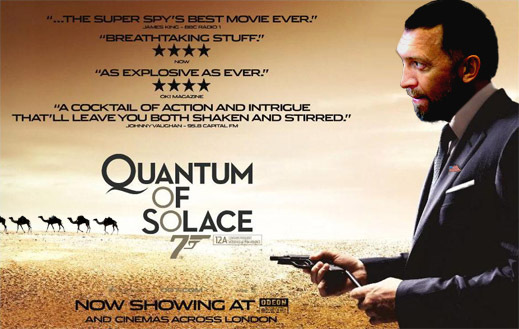 The information about Oleg Deripaska in the articles is a complete nonsense”. 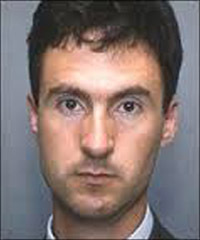 Levinson’s best-known case was the prosecution, conviction, and jailing of Vyacheslav Ivankov (aka Yaponchik) in New York in 1995. The FBI’s case against Ivankov claimed he had extorted $2.7 million from a New York investment firm run by other Russian emigres. According to Ivankov, he was framed by the FBI who invented a Russian mafia myth to keep their Russian division in budget for operations. The real criminals, Ivankov said in 1996, were the Kremlin, then run by Boris Yeltsin, and his Federal Security Service (FSB). The Ivankov case was small beer beside Deripaska and his aluminium industry associates. But in 2001 Levinson, then in private practice, got into those big-money Russian operations too. In that year sources who knew Levinson at the time say he was an investigator in one of the first US court cases to charge Deripaska with racketeering and fraud. The case was dismissed by the US courts for lack of jurisdiction, and the evidence Levinson helped gather was never tested in front of a US judge. One of the lawyers who may have been aware of Levinson’s work against Deripaska was Moscow-based Dmitry Afanasyev. In time, he became, and still is, Deripaska’s principal legal advisor. Afanasyev is also a member of the Rusal board of directors. 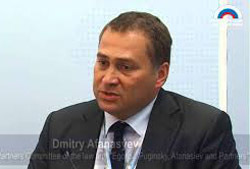 Afanasyev was working for Deripaska when the New York Times reporter claims the FBI had their Paris get-together in mid-2008 to ask Deripaska to help finance Levinson’s release by his Iranian captors. Whether Afanasyev then remembered Levinson from the earlier investigation, he isn’t saying today. Another US source claims that Deripaska might have been approached by the CIA even before the FBI: “I would expect the CIA tasked him about two years before he was able to get the visa to enter the US.” If true, that would have been in 2007. Whose idea was it, the FBI’s, the CIA’s, or Deripaska’s, to open a secret channel to Iran and offer bribes to ransom Levinson? Meier, the Times reporter, didn’t ask, doesn’t know, hasn’t reported. Meier is a specialist on the US medical sector, and in dozens of reports he has filed for the New York Times, the Levinson story is the only one to take him outside that beat, and outside the US to Russia. According to his report, he omitted to ask Deripaska, or any other Russian, for comment on his latest claims. US Department of Justice records show that Waldman and Endeavour first registered in May 2009 as Deripaska’s agent to lobby for Deripaska’s US entry visa. On initial questioning in July of 2009 Waldman claimed: “We have not had any engagement with the US government about any visa matters on his behalf .” Little more than a year later, Waldman acknowledged the visa issue was a priority in his work. He also reported that Deripaska’s retainer was running at the rate of $40,000 per month. By that standard, Levinson was working at the CIA for peanuts. His contract, dated to start on September 11, 2006 and to conclude nine months later on June 14, 2007, was for $84,688.42. Two CIA officers, John N. and Kimberley M., are identified in that document. According to the Times report, two more senior CIA operatives, Ann Jablonski and Timothy Sampson, head of the “Illicit Finance Group”, were in charge. But by December 2006, just three months into Levinson’s CIA contract, the money had run out, and he was told there wasn’t enough extra cash in the ops budget for more payments to him. The Times story is blank on what, if anything, Deripaska did. The report is clear, however, on two points – nothing came of it for Levinson; and much came of it for Deripaska. He was increasingly desperate during 2009 to make major business deals in the US, and to remove the visa ban from his record as he tried to manage the initial public offering for Rusal; that was scheduled, if uncertainly, on the Hong Kong Stock Exchange in the last days of that year. The story of Deripaska’s 2009 visits to a bank in New York and to General Motors in Detroit can be found here. That report also details far more US Government investigations of Deripaska and other Rusasian oligarchs at the time than Meier has found time to report, or his sources to acknowledge. There is little doubt in Meier’s chronology that by mid-2009, if there had been a US Government operation with Deripaska to bribe Levinson’s way out of Iranian imprisonment – “he insisted that his role be kept secret” – Deripaska’s role was over and done with. In July of 2009 Deripaska blew the whistle on the FBI himself. In his version, he had been approached in secret by US Government officials. There was a deal on the table for his visa, but he said the role the Americans had in mind for him would have meant spying on his fellow Russians. The US had been trying to twist his arm over the visa, Deripaska disclosed, planting stories about his visa rejection in the press to damage his business, and blackmail him into betraying his country. For his megaphone Deripaska engaged a BBC reporter named Tim Whewell (right) who took a costly trip on Deripaska’s aircraft to two of his factories, and at least one of his homes, for hours of interview. It was a personal scoop, according to Whewell at the time, “the most extensive [tour] the publicity-shy tycoon has ever given a journalist.” In return, Whewell agreed in advance to a plan of questions promoting what Deripaska wanted the world to hear. The BBC interview was broadcast on July 14, 2009. Deripaska talks about his patriotic resistance to the black American operations from the 15 minute-20 second point in the tape.